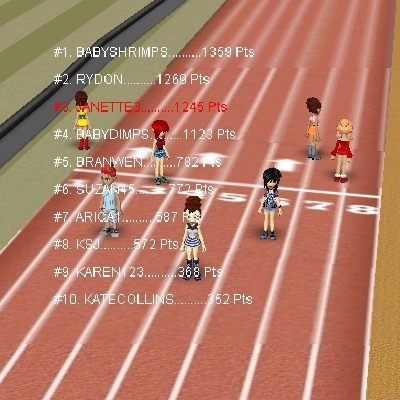 Top 3 racers (as of 3:00+ PM): Janette3 (3rd), Rydon (2nd), Babyshrimps (1st). Thanks to Janette3 for hosting most of the races last Saturday. 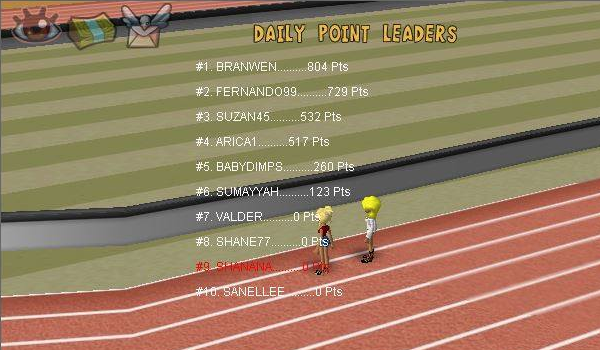 There were some technical issues so the race event didn’t finish at exactly 4:00 PM, but it was still nice to see everyone compete and have a good time. Thanks to all the racers who joined and to the players who dropped by. See you again next Saturday! It’s a gloomy, rainy Sunday (although it looks beautiful to others), and some players are having technical issues with the game. Hmm… It sounds like we all need a mood booster. For this BMAP, bring me a picture of you playing any virtual game in SocioTown. Send your entries to my email address at dawn (at) sociotown (dot) com, with the subject BMAP: Virtual Games. Don’t forget to include your full SocioTown name. To snap a screenshot, you can visit this tutorial online (do note that ST and OTBS are not affiliated with said site). Since this is April’s last BMAP round, this will be a special one, meaning there are no limits to its participants and winners! As long as you submit an entry that follows the rules above, you can join the line up of April’s special BMAP round winners. Winners will get 50 SoBucks each. 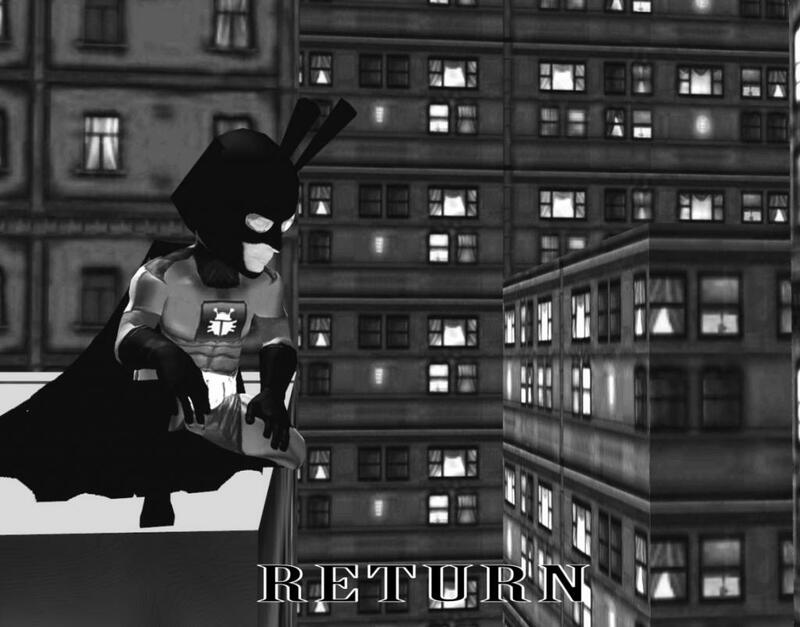 Submit your pictures before the next BMAP round is posted. Have fun! For those who are having problems with their forum accounts, you can now rejoice! 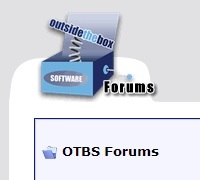 A lot of new OTBS Forums accounts were recently checked and approved by Chris. If you’re itching for a hearty discussion about the game or anything under the sun, head over to the OTBS forums now and start talking! Want to know how your fellow ST players celebrated their holidays? How about movie discussions? You can talk about it here! Make sure you practice proper online etiquette so it’ll be fun for everyone. If you have any questions, read the FAQ or contact any forum moderators. You can also send a private message to game guides. Got tips or suggestions for ST? Share it here! You can go to the forums through clicking the forum button found at the upper right corner of SocioTown’s homepage. 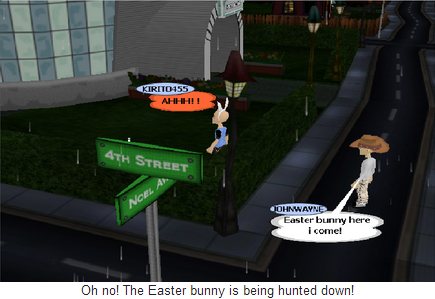 BMAP Winner: Branwen with the floating Easter candy! I wonder what’s the flavor of this candy. Anyway, congrats Branwen! You’ll get your 50 SoBucks soon. Thanks to Shanana and Sumayyah for hosting. Weekly Shopping Guide - Easter Special! Are you ready for egg-citing items this Easter? 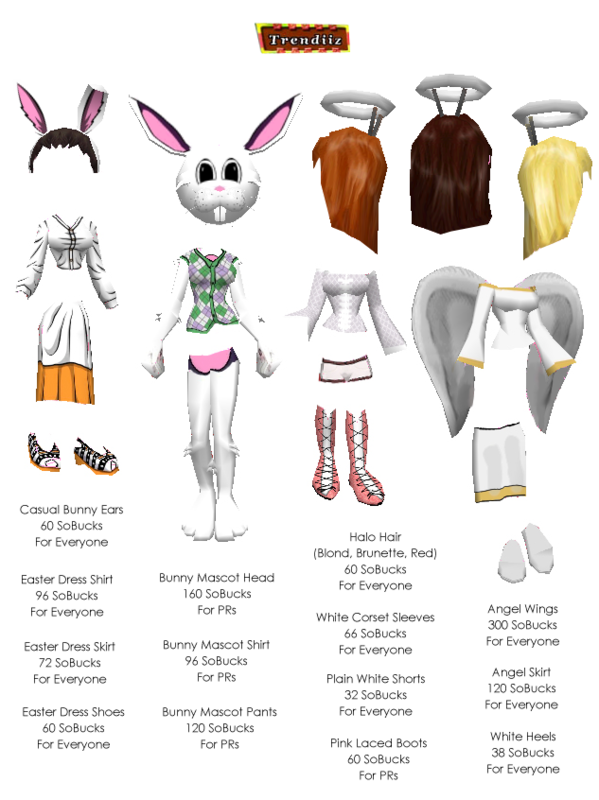 Hop along and enjoy these bunny outfits! Or if you’re feeling angelic, the girls can try the Angel Wings, Angel Skirt and Halo. The boys can enjoy white shirts like the Hispter Shirt or the Music Tee. 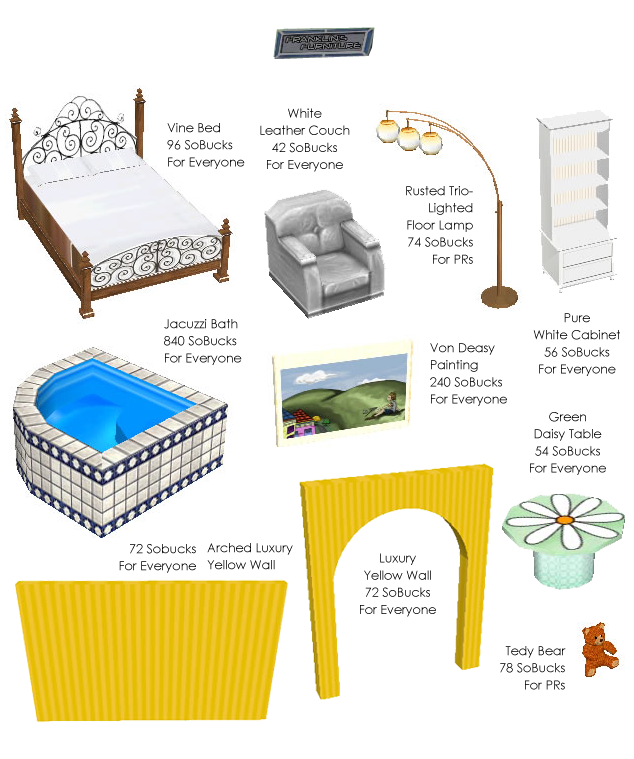 Those who requested house items, like the Jacuzzi and Von Deasy Painting, can find it at Frank’s. 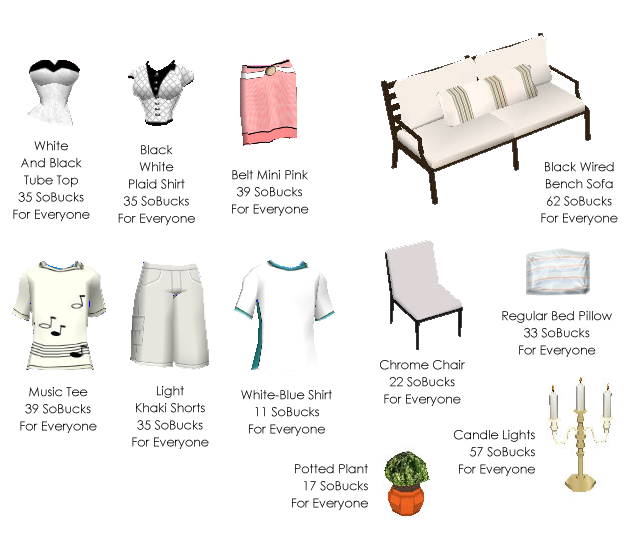 These items are available until this Sunday. Enjoy, bunnies!